Virgin Gorda, British Virgin Islands. 5th March 2017. 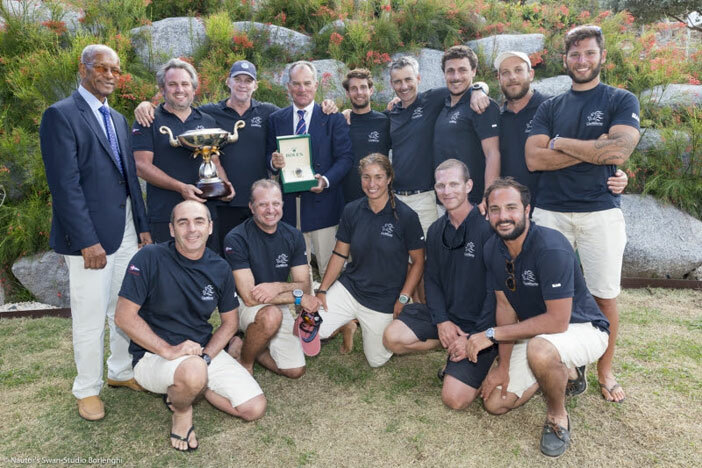 After four fun-filled days of racing at the Yacht Club Costa Smeralda’s Caribbean home in Virgin Gorda, Don Macpherson’s Swan 90 Freya and Leonardo Ferragamo’s ClubSwan 50 Cuordileone have been crowned champions of the Rolex Swan Cup Caribbean 2017. Freya, with Volvo Ocean Race veteran Kimo Worthington calling tactics, scored an impressive run of three straight wins out of four races and can now boast victory in the Swan Cup on both sides of the Atlantic. Ferragamo at the helm of Cuordileone had a tough fight on his hands from the off with the second participating ClubSwan 50 Earlybird. The two boats finished just 4 seconds apart in real time today, however it was the Italian boat with Ken Read on tactics that prevailed overall, again with three wins over the four race days. Racing in the biennial event organised by the YCCS together with Nautor’s Swan and title sponsor Rolex ran from 2nd to 5th March. In an 18-boat fleet that ranged from the 13.5-metre Swan Best Buddies to the imposing 35-metre Swan 115s Highland Fling and Shamanna, and from the 1973-launched historic Whitbread winner Sayula to the cutting-edge Clubswan 50 Earlybird christened last week at YCCS, the entire spectrum of Nautor’s Swan yachts was well represented. 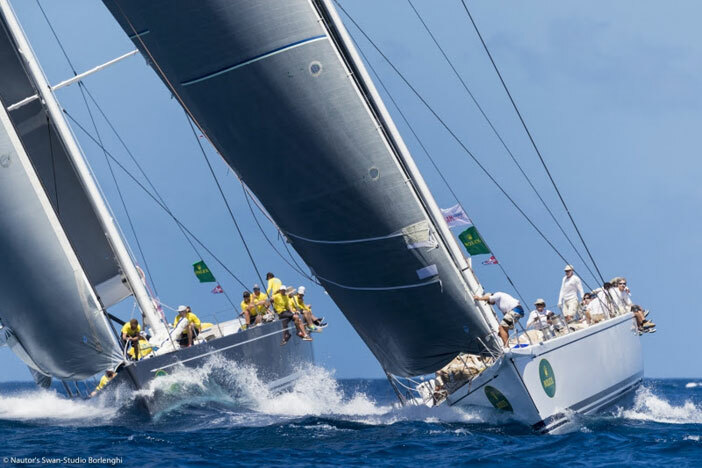 The fourth and final race day saw slightly less breeze than the previous days with approximately 15 knots blowing and both the Maxi and Grand Prix classes were set courses that took them around the Dog Islands off Virgin Gorda. Freya was assigned two penalty points after an overly aggressive manoeuvre on the starting line, however given her previously clear run of bullets the American boat managed a comfortable overall victory nonetheless. The Spanish Swan 80 Plis-Play took second place in today’s race which also assured her second place in the overall rankings ahead of Selene, another Swan 80. “We had a fantastic race. It’s wonderful to be here in the beautiful BVI. 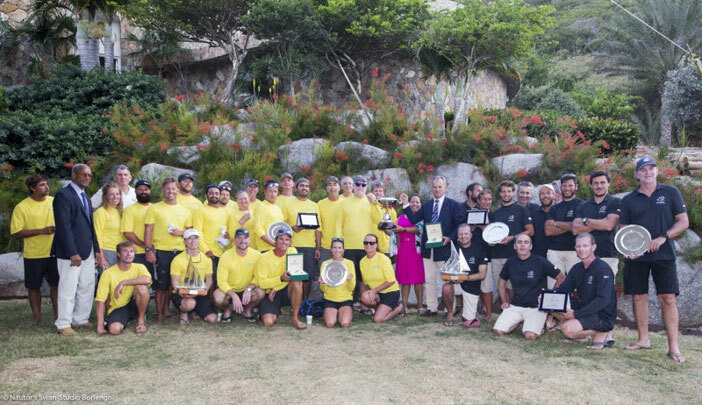 YCCS is such a great Club and the Rolex Swan regatta is a fabulous event, everybody had a great time. 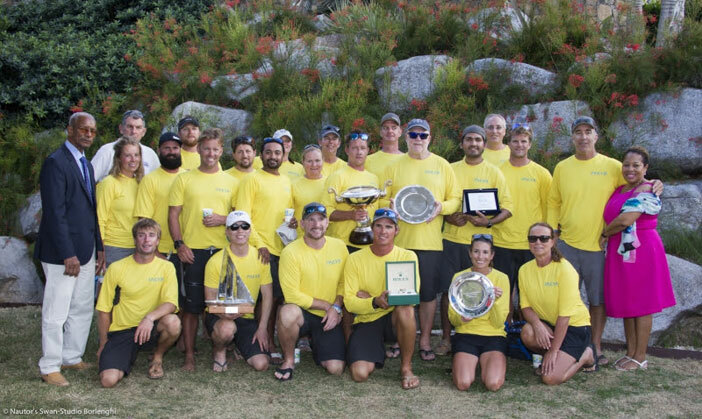 It’s thrilling and humbling to win against a lot of other great boats. It’s extra special to win this race back-to-back with our win in Porto Cervo in September.” commented Freya’s owner Don Macpherson as he returned to dock at the YCCS Marina. In the Grand Prix/Mini Maxi division Cuordileone led from day one, but a spinnaker split in yesterday’s race left her delta reduced to just one point over Earlybird. Today’s win allowed her to clinch overall victory ahead of Gibb Kane’s Swan 66 Bounty while Earlybird saw her chances of second place wiped out by a third place finish today that also left owner Hendrik Brandis in third place overall in the division. 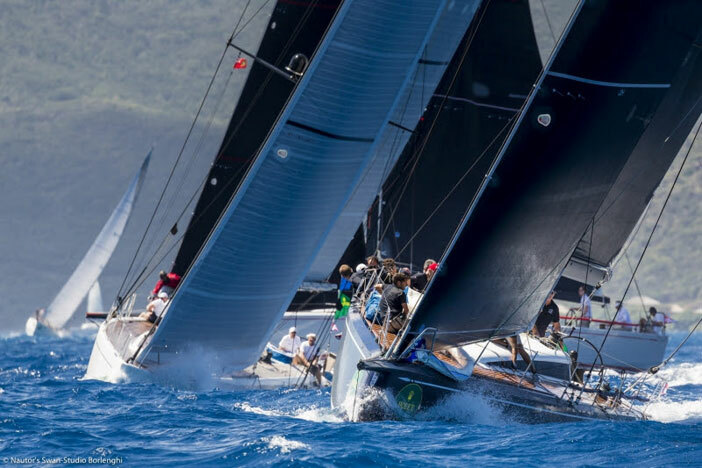 The YCCS racing season, in what is the Club’s 50th anniversary year, continues next week with the YCCS 50th Anniversary Regatta on 7th March and the Loro Piana Caribbean Superyacht Regatta & Rendezvous from 10th to 13th March.